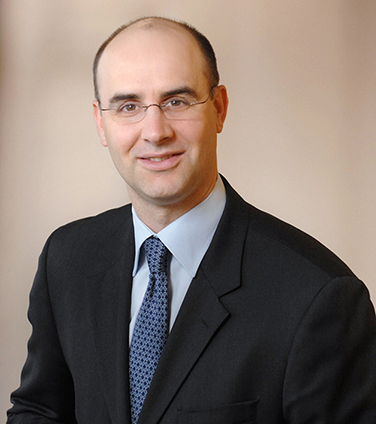 Jeremy is Chair of Osler’s Mergers and Acquisitions Group and former Co-Chair of Osler’s Mining Group. He has acted for public and private companies, boards of directors, special committees and private equity firms on a range of acquisitions, securities offerings and other corporate transactions. Jeremy routinely represents investment dealers on fairness opinions, valuations and complex financial advisory assignments. Jeremy has been recognized as a leading practitioner by The Lexpert/American Lawyer Guide to the Leading 500 Lawyers in Canada (Corporate/M&A, Corporate Finance & Securities, Corporate Mid-Market; Corporate Commercial); The Canadian Legal Lexpert Directory (M&A, Corporate Mid-Market, Corporate Finance & Securities, Corporate Commercial Law and Mining); Chambers Global: The World’s Leading Lawyers for Business (Corporate/M&A); The Best Lawyers in Canada (M&A) and IFLR100: The Guide to the World’s Leading Financial Law Firms (M&A). Chemtrade Logistics Income Fund on its initial unsolicited take-over bid for and subsequent friendly $900 million acquisition of Canexus Corporation. Whistler Blackcomb Holdings Inc. on its $1.4 billion sale to Vail Resorts, Inc.
Canadian Oil Sands Limited in its response to Suncor Energy Inc’s unsolicited take-over bid. BMO Capital Markets in connection with its role as independent valuator on Enbridge Inc.’s $30.4 billion transfer of assets to Enbridge Income Fund. Barclays Canada in connection with its role as independent valuator on BCE Inc.’s $3.95 billion privatization of Bell Aliant. Chemtrade Logistics Income Fund on its US$900 million acquisition of General Chemical Corporation. Mitel Networks Corporation on its $400 million acquisition of Aastra Technologies Limited. Penfund and its portfolio companies on a number of acquisitions and investments, including Penfund’s acquisition of JET Equipment & Tools Ltd. and investment in Mevotech L.P. The special committee of the board of directors of Inmet Mining Corporation in response to the $5.1 billion unsolicited offer by First Quantum Minerals Ltd.
Goldman Sachs and RBC Capital Markets in connection with their role as financial advisors to Nexen Inc. on its US$15.1 billion sale to CNOOC Ltd.
Ontario Teachers’ Pension Plan on its $1.1 billion joint acquisition of Q9 Networks with Bell Canada, Providence Equity Partners and Madison Dearborn Partners. TELUS Corporation on its dual class share reorganization and related proxy contest with Mason Capital Management LLC. London Stock Exchange Group plc on its proposed merger with TMX Group Inc. and related proxy contest with Maple Group Acquisition Corp.
Magna International Inc. on its dual class share capital reorganization. The board of directors of Addax Petroleum Corporation in connection with the $8.27 billion sale of Addax to Sinopec International Petroleum Exploration and Production Corporation. Lundin Mining Corporation on its private placement to and proposed business combination with HudBay Minerals Inc.
Kinross Gold Corporation on its $1.2 billion acquisition of Aurelian Resources Inc.
Royal Bank of Canada on its $1.36 billion acquisition of Phillips, Hager & North Investment Management Ltd.
Magna International Inc. on the US$1.54 billion investment by OJSC Russian Machines. IPSCO Inc. on its US$7.7 billion sale to SSAB Svenskt Stål AB. Novelis Inc. on its US$6.0 billion sale to Hindalco Industries Limited. CanWest Global Communications Corp. on its $2.3 billion joint acquisition and reorganization of Alliance Atlantis Communications Inc. with Goldman Sachs Capital Partners. "He is an excellent M&A practitioner." "I was extremely impressed with his knowledge of the specifics of what we were trying to do; he was invaluable on the strategy side as well." Lexpert Rising Stars, 2009: Leading Lawyer. Using Bylaws Tactically – Possibilities and Pitfalls, Co-Author, July 2015. It’s About Time – CSA Proposes Amended Take-Over Bid Regime, Co-Author, March 2015. SEC Charges Highlight Importance of Updating Early Warning Reports, Co-Author, March 2015. Osler’s Legal Year in Review, Editor, December 2014. CSA Provides Update on Proposed Changes to Early Warning Regime – Reporting Threshold Stays at 10%, Co-Author, October 2014. Canadian Securities Administrators Propose Significant Amendments to Take-Over Bid Regime, Co-Author, September 2014. Debate Continues Regarding Proposed Cooperative Capital Markets Regulatory System, Co-Author, July 2014. Ontario Court Gives Green Light to International Human Rights Tort Claims in Choc v. Hudbay Minerals Inc., Co-Author, July 2013. Ontario Securities Commission Review of Technical Reports Identifies “Unacceptable” Level of Compliance, Co-Author, July 2013. New Rights Plan and Defensive Tactics Proposals Shift Canadian M&A Landscape, Co-Author, March 2013. Preliminary Economic Assessments for Mining Projects – New Guidance from the Canadian Securities Administrators, Co-Author, September 2012. A Call to Arms on Empty Voting!, Co-Author, August 2012. Delaware Chancery Court Relies on Ontario Decision on Confidentiality Agreements to Block a $5.3 Billion Hostile Bid, May 2012. Failed Public Financings in the Mining Sector – Use of Economic Analysis and Confusion Around Preliminary Economic Assessments, Co-Author, March 2012. Canada’s New Rules for Marketing Prospectus Offerings - 10 Things to Know About the Proposed Changes, Co-Author, February, 2012. The Mergers & Acquisitions Review: Canada, 9th Edition, Co-Authored with Emmanuel Pressman and Robert Yalden. New CSA Rule Governing Shareholder Rights Plans, Presenter, Capital Markets Institute Roundtable, June 2013. Directors’ Duties: An Overview for Mid and Junior Public Mining Company Executives and Directors, Presenter, PDAC March 2013. Duties of a Director When a Public Company is in Play, Presenter, C.D. Howe Institute Roundtable, September 2012. Renewed Quest: Court Decision Hasn’t Killed National Securities Regulator, Editorial, Financial Post, July 19, 2012. Disclosure Best Practices for Dual Listed Canadian Companies: Mineral Reserve and Resources Estimates and Oil and Gas Reserves, Presenter, 56th Annual Rocky Mountain Mineral Law Institute, July 2010. Fiduciary Outs and Maximizing Shareholder Value Following BCE, (2009) 48(2) Canadian Business Law Journal 213. Not One Regulator but Two, Editorial, The Globe and Mail, October 28, 2009. A Canadian Understanding of Director Duties, Online Editorial, The Globe and Mail, January 6, 2009, Co-Authored with Emmanuel Pressman. When to Tell: The OSC’s Ruling in the AiT Case Confirms Existing Practice for Merger Disclosure, Editorial, Financial Post, January 16, 2008, Co-Authored with Robert Yalden. Kerr v. Danier Leather Inc.: Disclosure, Deference and the Duty to Update Forward-Looking Information, (2006) 43(1) Canadian Business Law Journal 106, Co-Authored with Robert Yalden.